That mustache is the gift that keeps on giving.. and much better than those grainy pics from the paparazzi! Ah his adorable poker face with a glint of smile, I think. Why? ?, why? ?, are you doing this to me?? why ??? It's torture to love you!!! I agree Heidi! 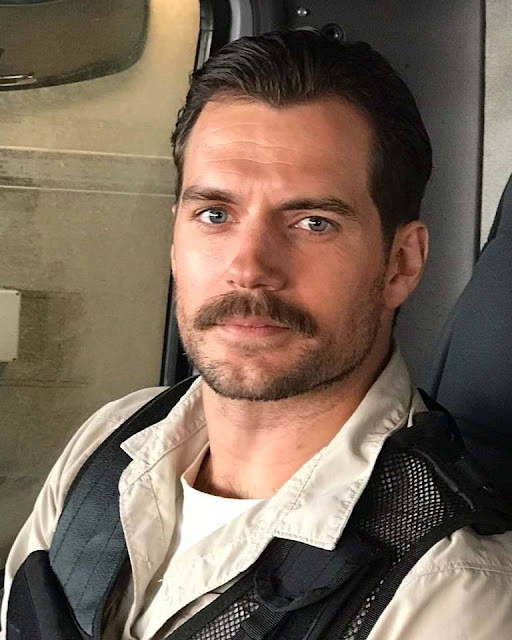 Stache/no stache, normal 6'1 build or Superman build I could look at that face all day! what a handsome gent!